Everybody’s got a story about bad customers. In case you can’t get your fill, a Google search on “customers from hell” fetched 33,100,000 results. These customers can be infuriating, frustrating, and just plain rude. But if you’re a software-as-a-service (SaaS) company, bad customers can be much worse than that. They can be downright dangerous. For one thing, these bad customers are likely to cost you money, not make you money. They may be more difficult right from the start, so they’ll cost you a lot of extra sales time and resources to close them. They’ll ask for yet another demo, another extension on the free trial, another presentation, another reference, another something or other that will tie up your team. But soon after the extra effort to finally close the deal, many of these difficult customers will find they’re really not satisfied with the solution. For whatever reason – functionality, support, price, etc. – they’ll drop their subscription. And they’ll drop it way too soon for you to recover your higher acquisition costs. If you paid $1000 to win them, and they only stuck around to pay $100 in subscription fees… well, that’s not a formula for SaaS success. The other dangerous thing bad customers will do is to drag you away from a single, standard SaaS solution. They’ll ask for additional features that may not be on your product development roadmap. They’ll ask for special support terms. They’ll ask for non-standard deployment efforts. That’s not how SaaS works… or at least not how it works successfully. You need to develop, market, sell, and support a relatively standard solution. There’s no problem configuring the solution to fit a particular customer. But “customization,” altering the core product and practices, is a bad word in the SaaS world. Deviating from the standard means problems and extra costs for development, marketing, sales, deployment, training, and support. I wish could provide a surefire way to avoid bad customers entirely. Sorry, no can do. But I will offer a couple recommendations that should help. Be clear in your message. You should make it as plain as possible who your solution is for and what problem it solves. Prospects should have a crystal-clear understanding of how you can help… or not. And the more consistently and plainly you can convey this, the less likely the “wrong” prospect will want to engage with you. Identify the outliers early on. The earlier in the sales process you’re able to identify people that won’t be a good fit for your solution, the better. However it is that you assess prospects – web forms, phone calls, in-person meetings, etc. – have your radar tuned to those that fall outside your target market. Of course, you’re most eager to find areas where you can help the prospect and eventually sell them something. But it’s just as important to quickly recognize those you can’t help. Those that aren’t a good fit just aren’t worth pursuing. Having lived through several acquisitions during my career in technology companies, I have some idea of what the folks at SuccessFactors (acquired by SAP last year) and Taleo (acquired by Oracle a few weeks ago) are going through. Some of these combinations go well, others not so well. One reason behind the acquisitions of software-as-a-service (SaaS) companies is the high cost of sales and marketing. In essence, it helps to be bigger and richer. Early in its life, for example, SuccessFactors actually spent more for sales and marketing than its entire annual revenues. Even well-established SaaS companies typically pay 40 percent or more of their annual revenue on customer acquisition. The need to make that kind of large investment over a long period favors companies with deep pockets (as well as strong stomachs.) Hence the advantages of being acquired by a much larger, richer company. From what I've seen, all tech company mergers and acquisitions run into speed bumps of one kind or another - departure of key people, cultural clashes, loss of focus, and other glitches. When established companies buy SaaS companies, it's even trickier. They need to figure out how to sell and market the newly acquired SaaS solution alongside the existing on-premise solution. It is possible for one company to sell both on-premise and SaaS solutions simultaneously. Lots of companies do it, and in many cases it makes good business sense. For one thing, keeping two horses in the race means there's no need make an abrupt switch from on-premise to SaaS. That kind of switch can be painful. Some brave companies like Concur have done it, even as a public company, and they have come through it successfully, but I don't imagine it was easy. Second, companies often prefer to sell both on-premise and SaaS in order to offer their customers a choice. "Choice" is so much more attractive to customers than "my way or the highway." But offering customers a choice doesn't come without a price for the solution provider. In some ways, offering two different solutions - an on-premise solution and a SaaS solution - means running two different companies. For SaaS marketers, we may be talking to different audiences. For example, while we may not have paid much attention to existing customers for on-premise solutions, those folks and their continued renewals are vital to our SaaS business. The messages we deliver about the SaaS solution may differ as well. Unlike an on-premise solution, we're not just talking about the features that are delivered at the time you buy; we're talking about the on-going stream of functionality that the customer will get over the life of the subscription. And we're talking about the entire experience - reliability, security, deployment, upgrades, etc. - not just product functions. 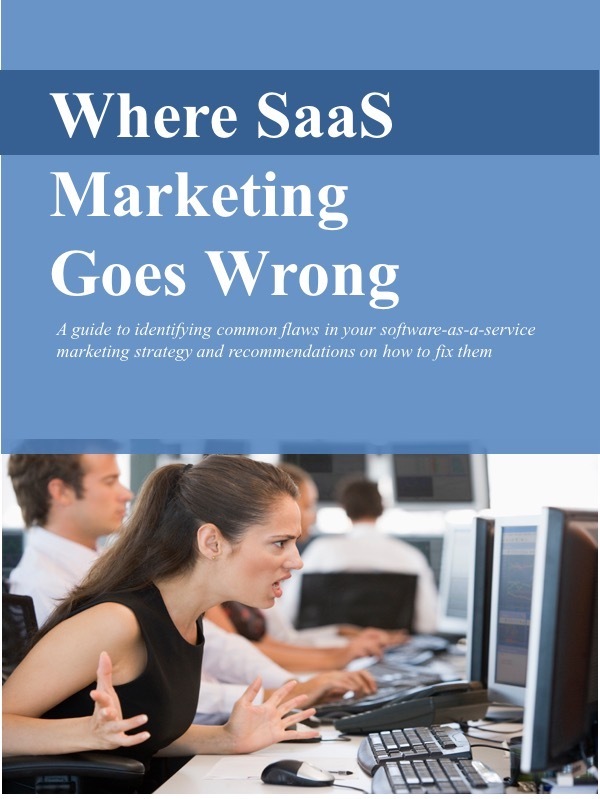 Even the marketing processes for SaaS solutions may be different. We may be delivering enhancements more often, which means we'll need a way to keep our marketing material up to date. And we'll need to be super-efficient. Not that we can spend carelessly to market on-premise apps, but we need to be especially careful to get our money's worth when we market SaaS solutions. I'm sure we'll see lots more acquisitions of SaaS companies, and there's lots of speculation about which companies will be bought next. Just as interesting is what will happen after they're bought.